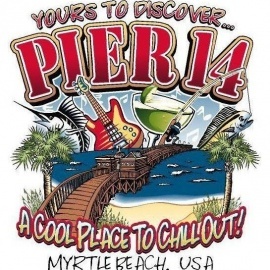 Pier 14 offers some of the best dining for lunch and dinner on Myrtle Beach. Dine on delicious Pier 14 fare including seafood, soups, vegetarian dishes, and delectable entrees from the grill like steaks, grilled chicken, fish, and more. They also have a full bar with a wide assortment of beer, wine, and cocktails. 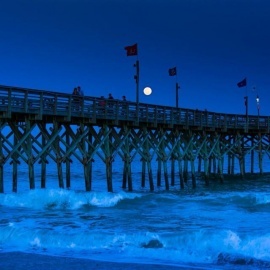 Long-standing option for a variety of seafood & cocktails in a laid-back oceanfront setting.